The Chinese currency, the RMB or Yuan, will be entering the exclusive club of world reserve currencies. These are the currencies commonly used in international transactions and often considered a hard currency or safe-haven currency. 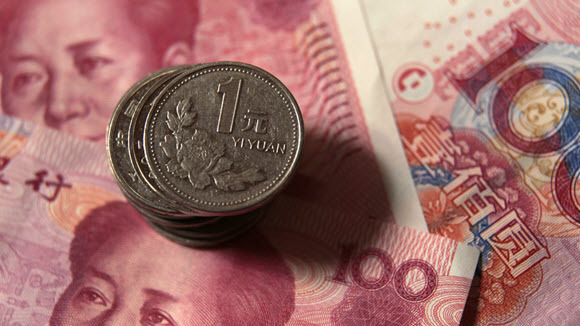 The RMB now joins the Dollar, Euro, Pound Sterling, Yen and Swiss Franc. Welcome Yuan! It will be a while before the effect of this change is seen in international markets. In the last week or so, we believe the markets have rebounded at home as the flow of funds into dollars and the safe haven aspect of U.S. markets pushed equities up. The energy sector continues to get punished, but as in all commodity cycles, it is just a matter of time before there is swing back. Not everyone will be happy. Drivers logged a record-setting 259.9 billion miles of U.S. roads in September, the most ever. Clearly, the lower gasoline prices have encouraged motorists who are now paying a national average of $2.10 a gallon down from $2.85 a year ago, according to the American Automobile Association. Stock repurchases have helped S&P companies reduce their share count and, thus, increase their earnings per share. According to the Financial Times, for the past seven quarters at least, 20% of S&P companies have reduced their share count by 4% or more. That has risen to 23% in the latest quarter. The trend toward buybacks is returning cash to shareholders, but is not providing investment for future growth. This is not a good sign for the long term. The Federal Reserve is poised to raise the Federal Funds Rate (the rate that banks pay to borrow money overnight from other bank’s trade balances held at the Federal Reserve). Most forecasters believe that the increase will not impact markets, but it would be difficult to believe that it will not have some impact, if only psychological. The “disruptors” such as Uber, Airbnb and, of course, Amazon have moved to center stage among U.S., if not, worldwide consumers. As a capitalist, I would argue that these companies are contributing to society at great rates of change. If we could get government out of health care in the same way, maybe we could let the free market bring costs down and provide better care! Maybe we need a disruptor in health care! Next year is an election year, and at some point we expect attention to be turned to taxes. In 2014, the federal government spent $3.5 trillion on the services it provides. Tax revenues financed $3 trillion of those services. As the above pie chart illustrates, corporations pay a very small amount of tax with so much of their profits held untaxed overseas. Clearly this is a good place to start on tax reform. On an individual level, the top 25% of earners – those earning more than $67,000 per year – pay 86% of the income taxes yet only have a 67% share of total AGI. The top 1% (those earning more than $380,000) paid approximately 38% of all income taxes in 2014. The 1% also paid the highest effective rate also at 22.8% which is almost seven times higher than taxpayers in the bottom 50% (those earning less than $33,000). By world standards, all Americans are wealthy and we have opportunities here that people in other countries can only dream about. It’s good to have perspective. As markets are poised for a lackluster year, we continue to believe that volatility will remain with many instances of extreme fear and greed. As always, we counsel our clients to plan for the long term, and while we expect 2016 to be a difficult year, there are strategies that can be effective. Please call us if there has been any significant change in your financial position or should you want to discuss any part of your portfolio. For non-clients, we are happy to give you our input, as we expect 2016 to be rocky. Thanks to all of you who have been loyal clients. We appreciate your trust and confidence. Please take a minute and visit our new website, www.familymanage.com. We think that you will enjoy the updated material. May the New Year bring everyone Health, Peace and Joy.